credits low mileage. runs once every 3 days. rotates weights/cross training/running. has results mostly for 50+ .. some pretty solid results for that age, damn. and 1:13 half @ 47 years old. 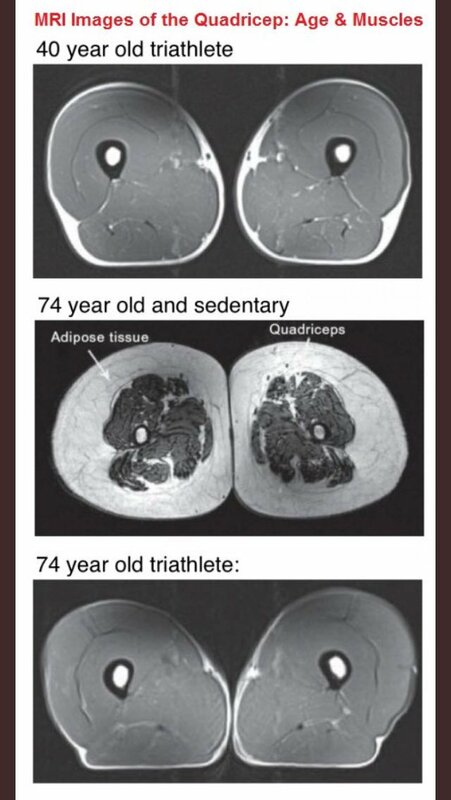 Would like to also see the 40yo sedentary though. 76 year old, 200m barefoot in a meet. flying. Apparently she was going for the WR, pretty close. About a minute off. Elliott Mason took a photo with her. She looked *crazy strong* for 70. "In August, Rice set the Masters American record in the mile, winning the USA Track and Field Masters 1 Mile Championships in Michigan. Her time of 6 minutes, 38 seconds was more than two minutes faster than the previous record. The highlight of the year came in Chicago in October. 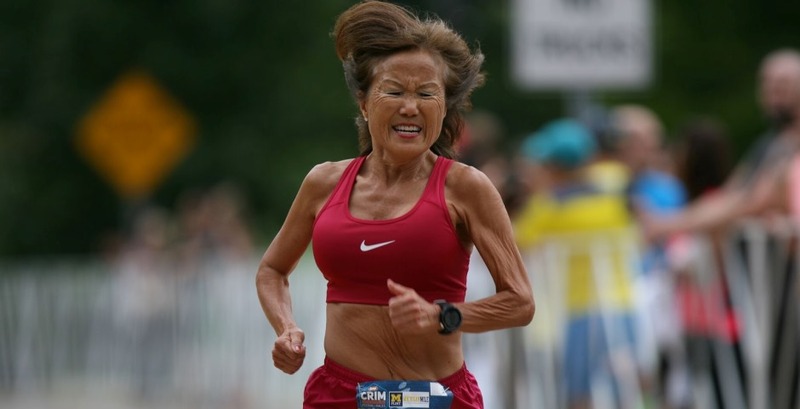 Not only did Rice run a marathon faster than any woman 70 years old or older in history, but she breezed past the previous world record. 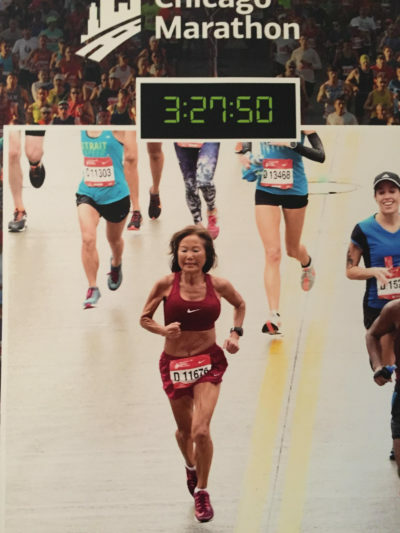 Rice finished the Chicago Marathon in 3:27:50 to break the record by more than six minutes."